Did you know there’s more to the Gold Coast than just the kilometre or two closest to the water? It’s true! It’s just a short drive to the beautiful hinterland from your Gold Coast holiday house, where you’ll find bushwalks, stunning scenery and great food.Natural Bridge is one of my favourite spots – the waterfall has worn away the rock, so it comes down through the ceiling of the cave. Pretty impressive – especially at night, when the cave fills with glow worms. Just remember to pack your torch – it can be a bit tricky to stay on the path in the dark! If you don’t have a car, never fear! You can join a tour to get there – just ask and we can arrange it for you. If you’re more the walking type, there are bushwalks aplenty – here’s a list. 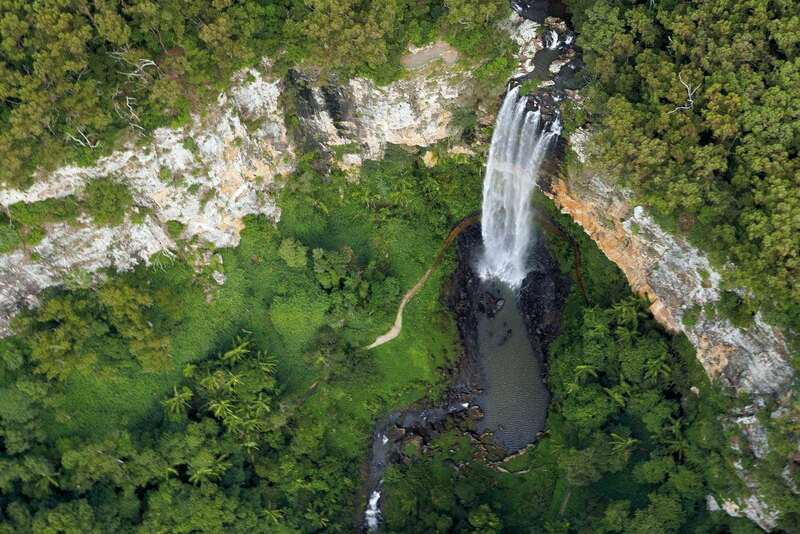 They range from the very easy 1km walk to Natural Bridge, right through to the 54km Gold Coast Great Walk.